relaxed, clean, great staff, special thanks to Lela from housekeeping for efficient service with a smile! The staff was etremerly helpful - especially at the reception. We were staying at the residential appartments in October and it was excellent: barely any other occupants there! We had more or less our own private swimming pool, or actually two of them :) Free water at the pools was a nice extra touch as the temperatures rose to almost 40 degrees... Great value for the money! The receptionist of the villa residences was very friendly and accommodating Actually all the staffs are very friendly. Good job! I like the residence it has washing machine and all other facilities. It also has extra blanket ang pillows. It is very clean as well. Location is amazing and very close to souq Qaryat Al Beri for restaurants and shopping. The outdoor pool is also nice and usually less crowded compared to other hotels. LOVED THE FACT THAT WE WERE UPGRADED TO THE 2 BED ROOM APPARTMENT. IT WAS VERY COMFORTABLE AND HAD AN INCREDIBLE VIEW. MY TEENAGE KIDS WERE SUPER HAPPY AND WOULD LOVE TO VISIT AGAIN. THUMBS UP FROM MY SIDE !! The staff were excellent. The Studio apartment was well appointed and quite cozy with the best feature being the balcony view. A jewel in the desert! I loved the quiet atmosphere and the beaches that were so clean and beautiful. The pool on the rooftop was a great experience for both me and my husband. We will be staying here again once back in Abu Dhabi. 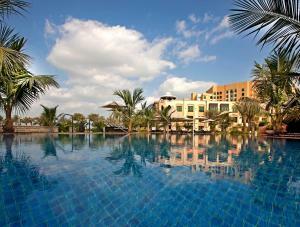 Lock in a great price for Shangri-La Hotel Apartments Qaryat Al Beri – rated 8.8 by recent guests! 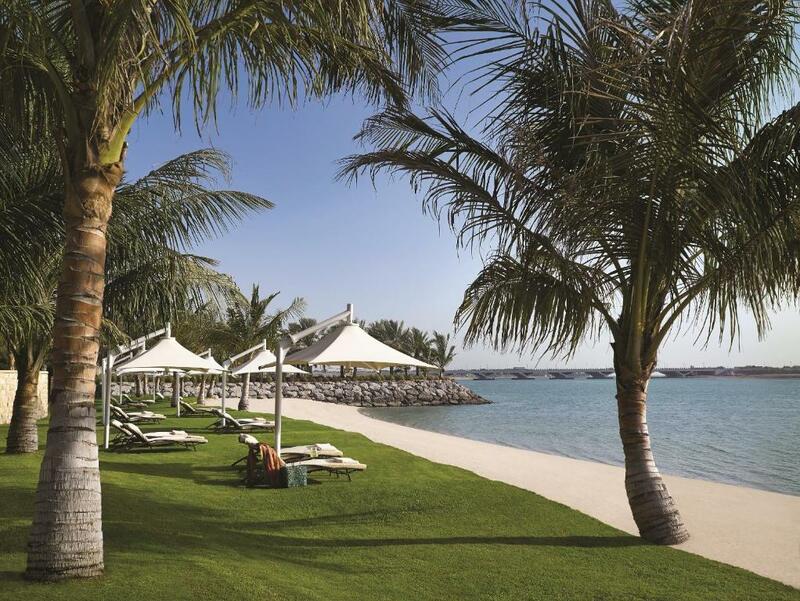 Featuring a private beach area in Abu Dhabi, Shangri-La Residences Qaryat Al Beri offers elegantly furnished accommodations, along with a gym, hot tub and rooftop swimming pool. Free Wi-Fi is available in all areas. Individually decorated with Arabic architecture, all luxury accommodations at the Shangri-La Residences comes with a flat-screen cable TV, a kitchenette and a living room. Each unit features a balcony with a view. Free toiletries are fitted in the private bathroom. You can enjoy authentic Chinese cuisine at Shangri-La’s signature restaurant, Shang Palace, or French cuisine at the Bord Eau. Other options include Vietnamese restaurant Hoi An and Sofra Bld with its live cooking and dessert stations. 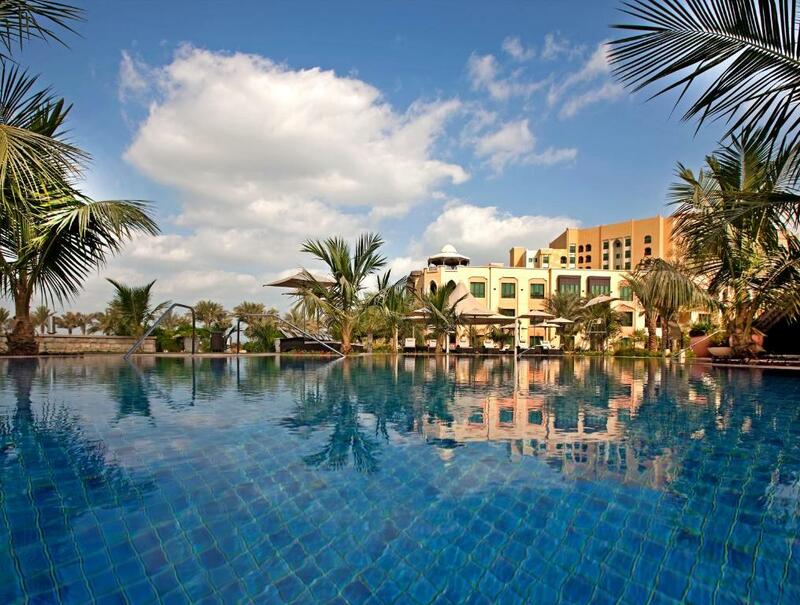 Unwind with a drink at Al Hanah Bar or the Lobby Lounge, or relax by the pool deck with a flavored shisha. For relaxation, get pampered at CHI, The Spa or take a stroll along the beach promenade. 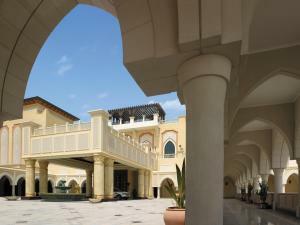 Abu Dhabi International Airport is a 15-minute drive away. Attractions nearby include Sheikh Zayed Mosque, a 15-minute walk away, and Al Maqtaa Fort, 1.2 mi from the property. This property also has one of the top-rated locations in Abu Dhabi! Guests are happier about it compared to other properties in the area. 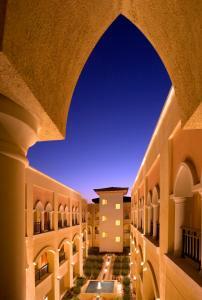 When would you like to stay at Shangri-La Hotel Apartments Qaryat Al Beri? Featuring air conditioning and free Wi-Fi, this modern and elegantly furnished studio offers a balcony with a view. It includes a kitchenette and a living room with a flat-screen cable TV. A shower and free toiletries are fitted in the private bathroom. Featuring air conditioning and free Wi-Fi, this modern and elegantly furnished apartment offers a balcony with a view. It includes a kitchenette and a living room with a flat-screen cable TV. A bath, a shower and free toiletries are fitted in the private bathroom. 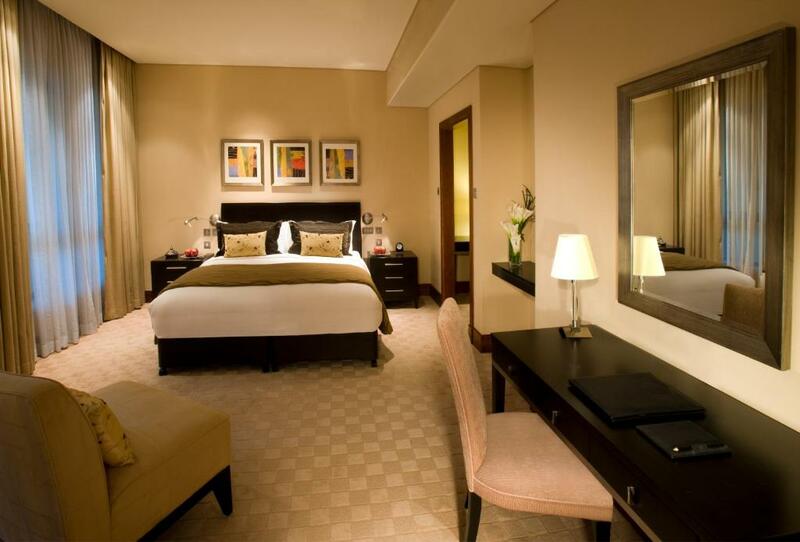 The Shangri-La Residences are set within the 8.5 hectare complex of the hotel. They are connected to all the facilities via the hotel's waterway abras (gondolas) and a club car. 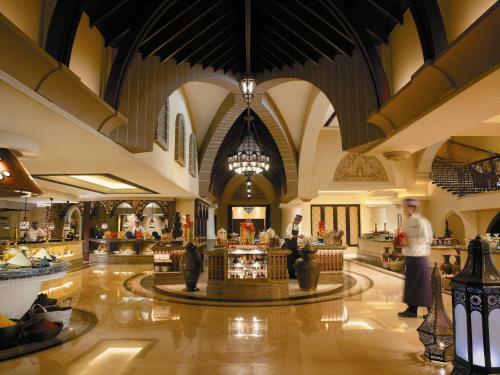 The architecture is Arabian and the décor is modern, providing a pleasing sense of warmth and freedom throughout. All units are sea facing with either a terrace or a balcony, with views of the ocean or pools. The Residences are managed by the hotel so each guest will experience Shangri-La hospitality first-hand within this exclusive setting. 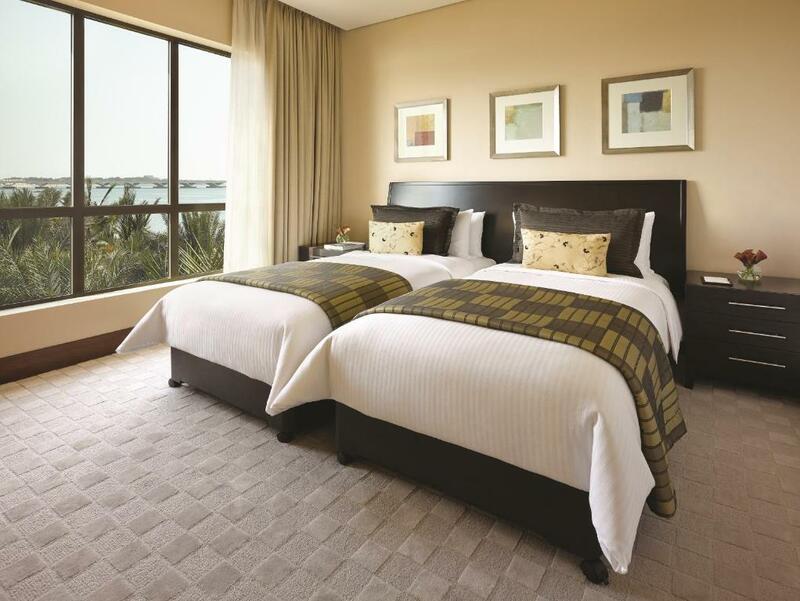 House Rules Shangri-La Hotel Apartments Qaryat Al Beri takes special requests – add in the next step! One older child or adult is charged AED 232 per night in an extra bed. Shangri-La Hotel Apartments Qaryat Al Beri accepts these cards and reserves the right to temporarily hold an amount prior to arrival. Please note that an original valid passport is required upon check-in. Facility is little old, location of the apartment was not good, swimming pool was not equipped with facilities for children to play ( slides) hot food was given to us by plastic containers because central kitchen is far !!!!! With the booking, I thought I book rooms in the Shangri La Hotel. 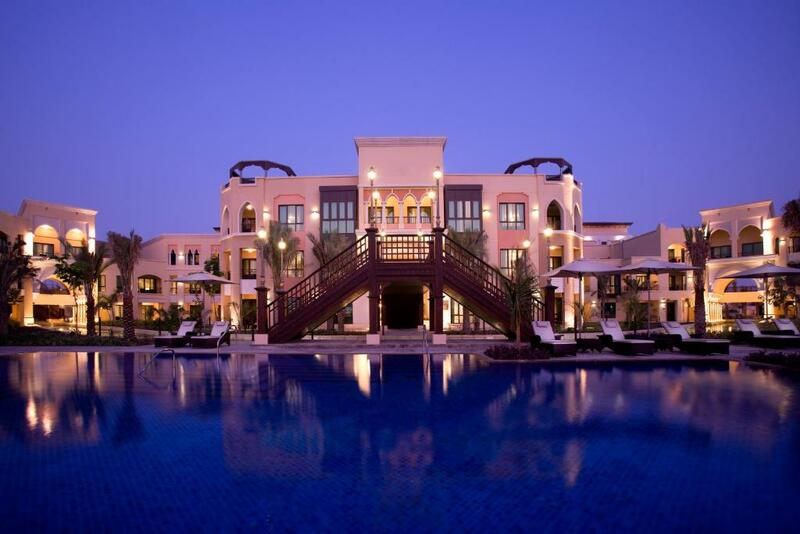 We went for the weekend from our beautiful villa in Dubai to there so expected a 5 star experience. Only when we arrived, we realized that the little word "appartments" meant self service, very basic rooms. Plus there was no breakfast option. I.e. it would have been much more comfortable for us to do two day trips and stay at home. So we checked out and paid a huge amount to change to the real Shangri La. We will therefore have to be very cautious to book ever again at Booking.com, as it is very easy to not get what is apparently promised. The staff was very friendly. Everything was perfect and more than we expected. The price was too much from the last visit. TVs are small, I believe 30-inch or something. In-room dining is dramatically expensive. Air-condition is strong (fan is very strong). Room size is absolutely adequate. Furniture is in very good condition. View from the room is great. Beds are very comfortable. Pool is ok. Rooms and bathrooms were top grade, service was wonderful and the breakfast menu was top notch.